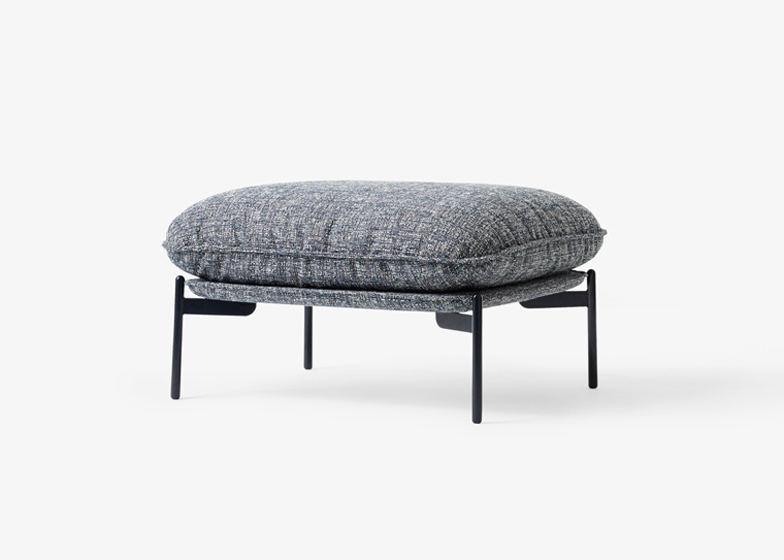 Stockholm 2015: Italian designer Luca Nichetto's collection of upholstered seats for Danish brand &tradition is intended to merge elements from the furniture heritage of both countries (+ slideshow). 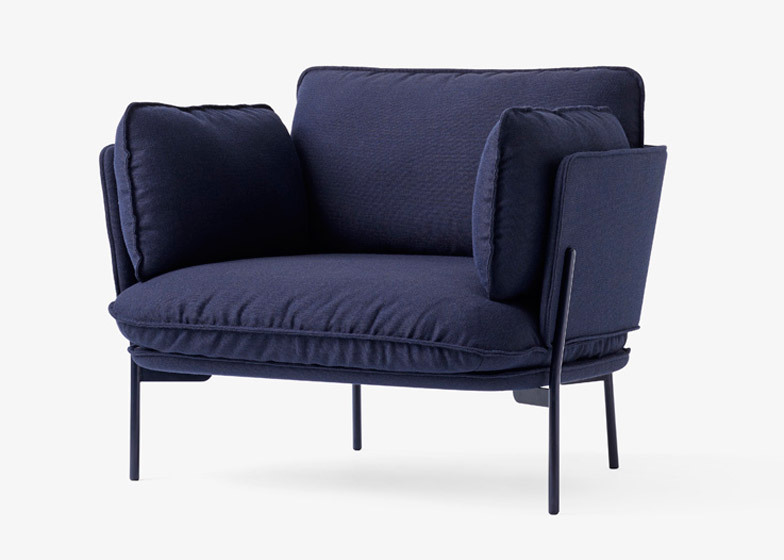 Luca Nichetto's first collaboration with &tradition resulted in the Cloud seating series, which includes an armchair, two- and three-seater sofas and a pouf. 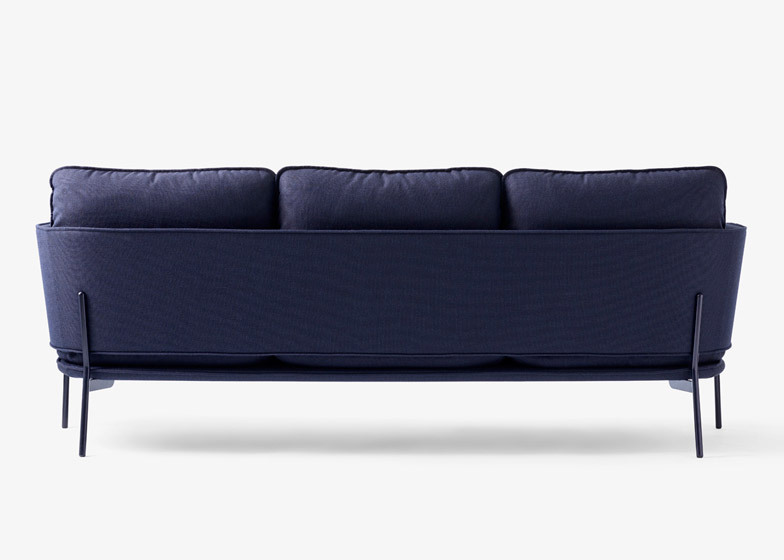 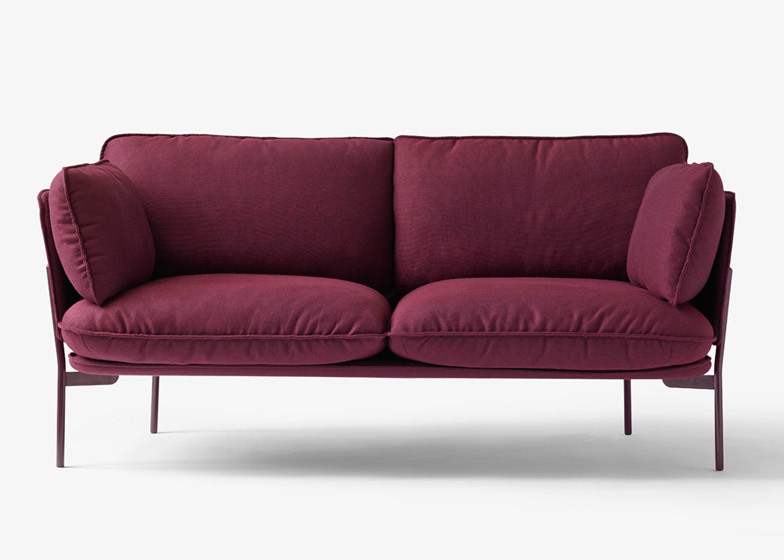 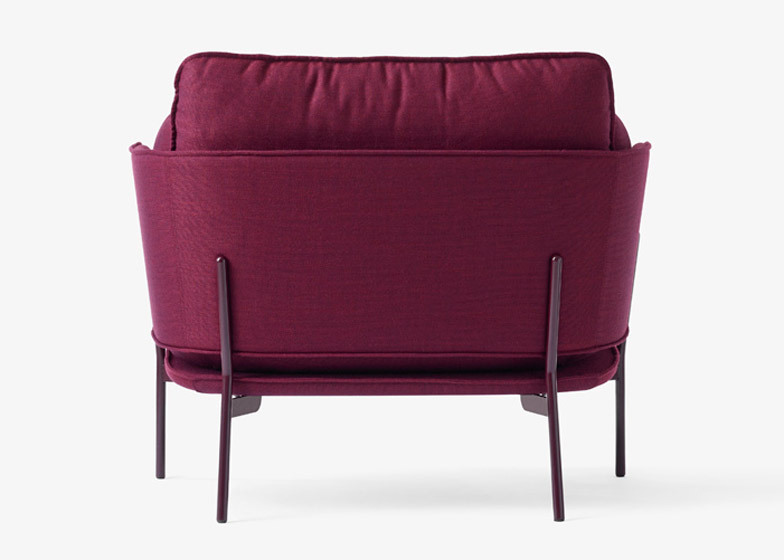 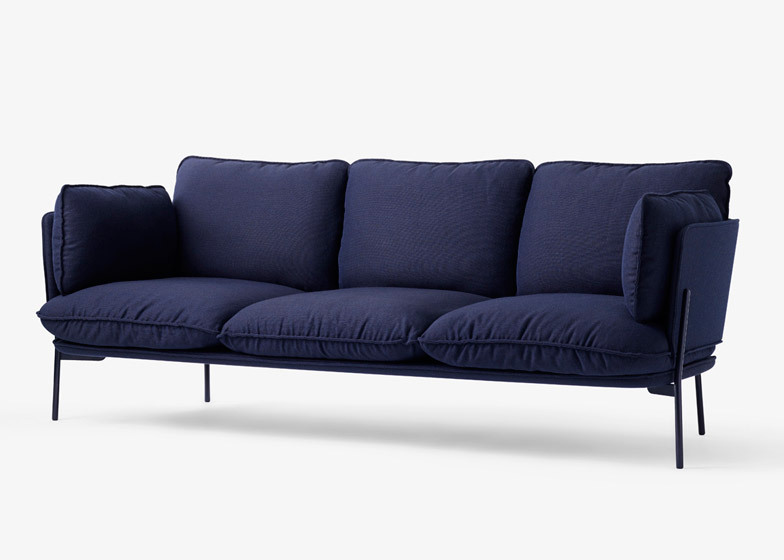 "My aim was to combine the Italian and Danish traditions of making sofas," said Nichetto. 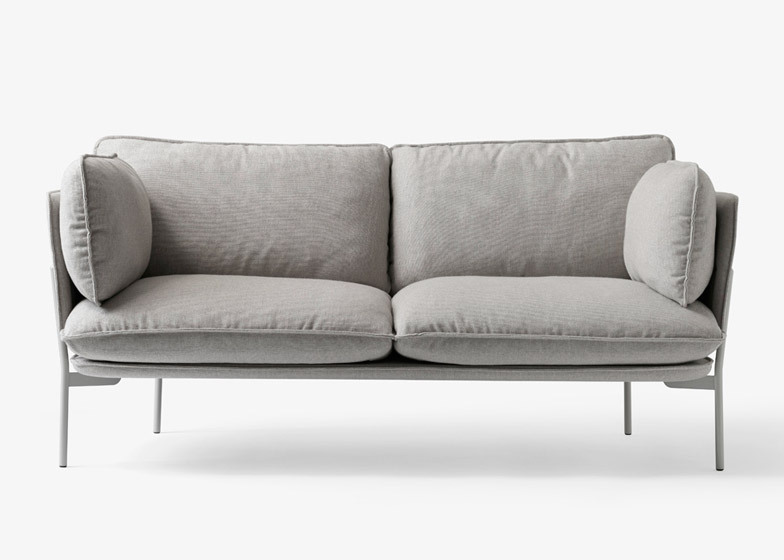 "Cloud has the defined shape of the Danish design tradition and the soft and cosy pillows of the Italian one." 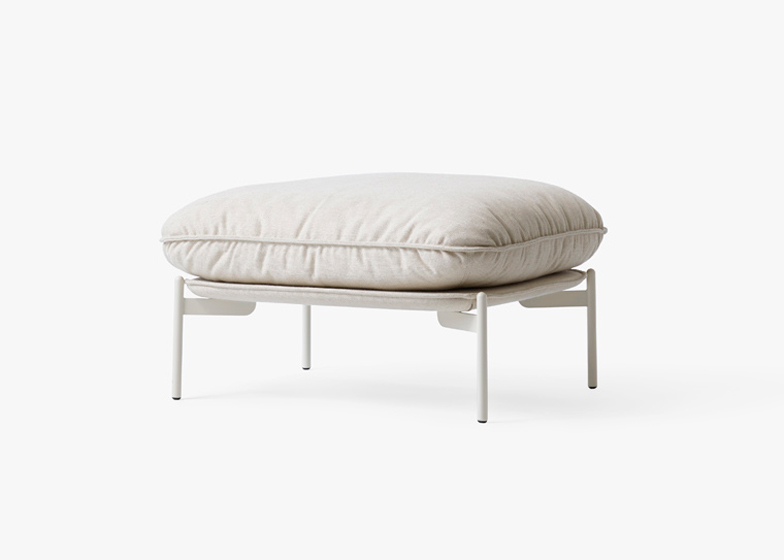 The plump seat cushions rest on an upholstered solid wood base, raised of the ground on steel legs that are coated to match the fabric. 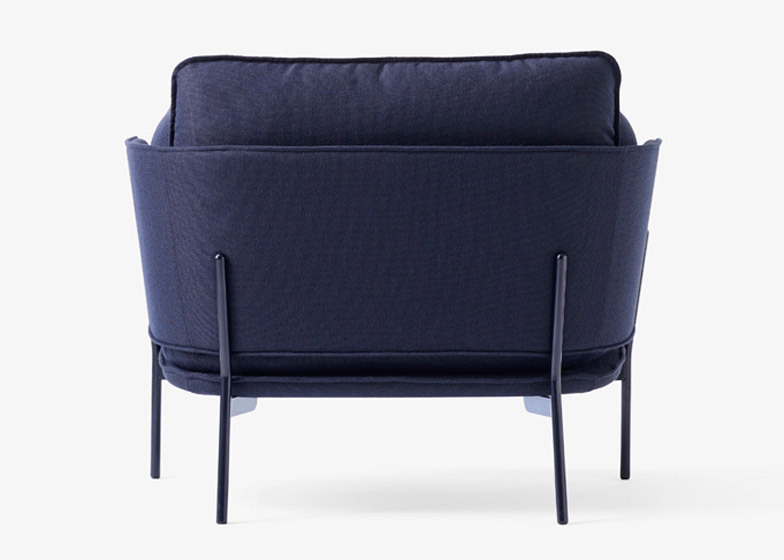 Cushions that form the back and arms are held in place with a curved support, made from foam-wrapped plywood and also covered in textiles. 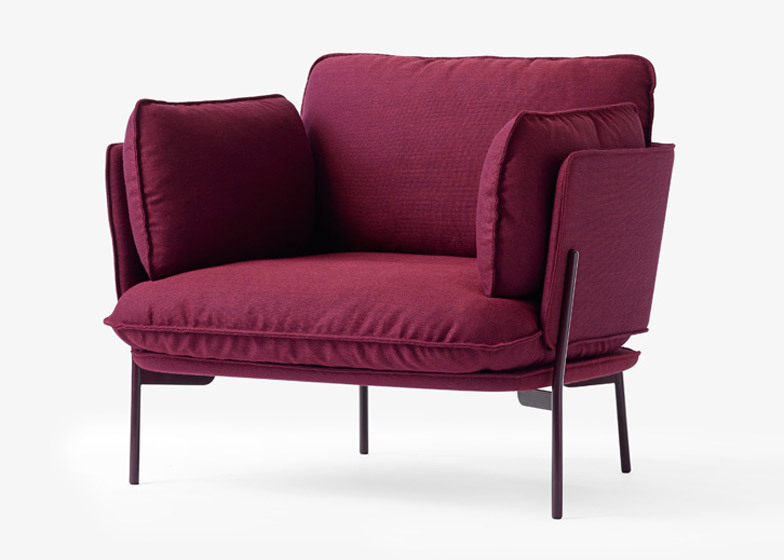 "What I really like about this project is that &tradition and I had the time to go really deep into all the details, and to focus on what kind of fabric to use, what colours, and what stitching," said Nichetto, who has previously designed a lounge chair for De La Espada and a folded felt seat for Cassina. 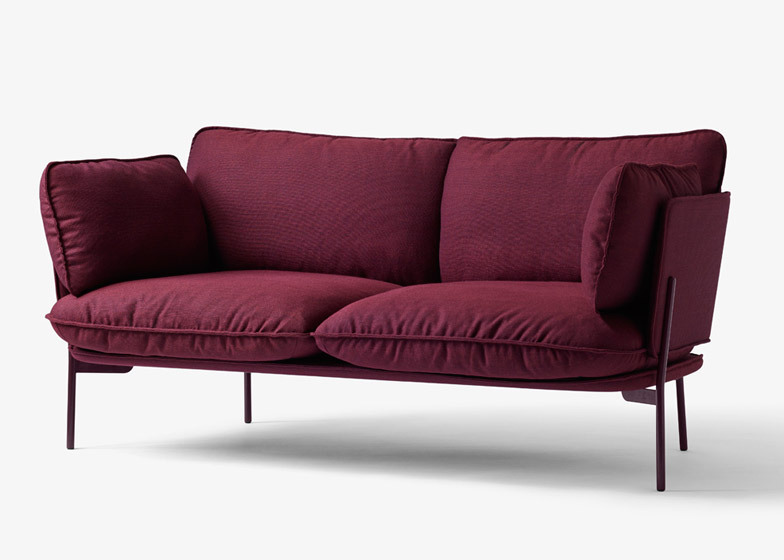 Raised details encircle each of the cushions, upholstered with materials from the Kvadrat x Raf Simons collection launched last year. 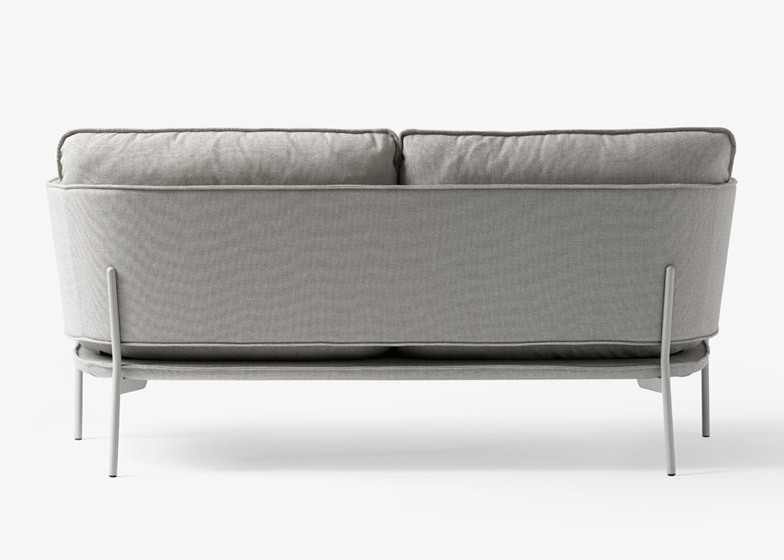 Each of the seats is designed to fit into a small apartment, while also providing enough space to relax on. 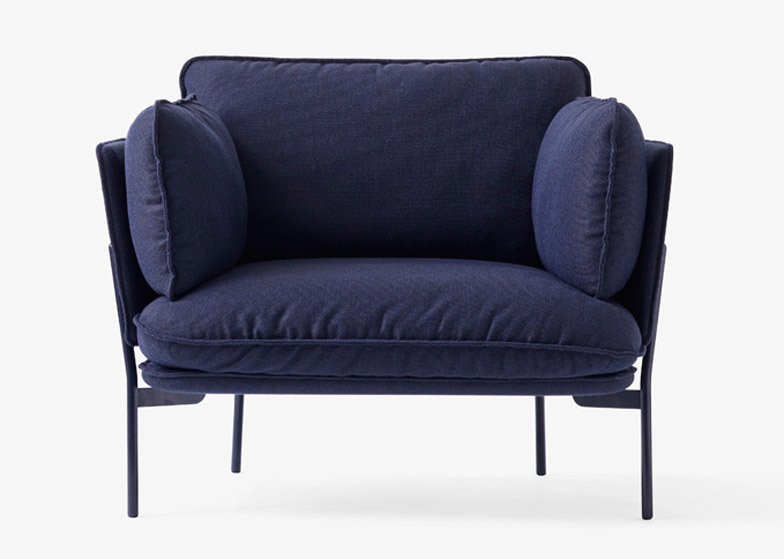 "The goal was to be unique, to use the fabrics in an original way," said Nichetto. 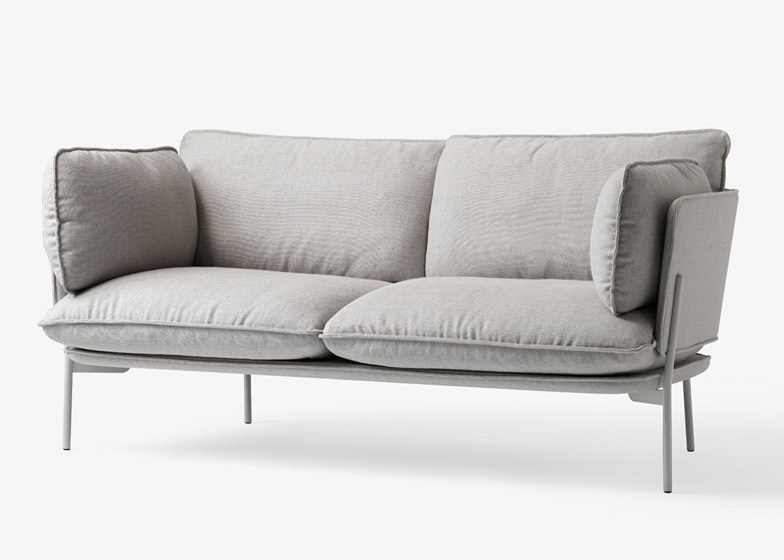 "Because of the compact dimensions of the furniture in the Cloud series, they are perfectly adaptable to contemporary living spaces. 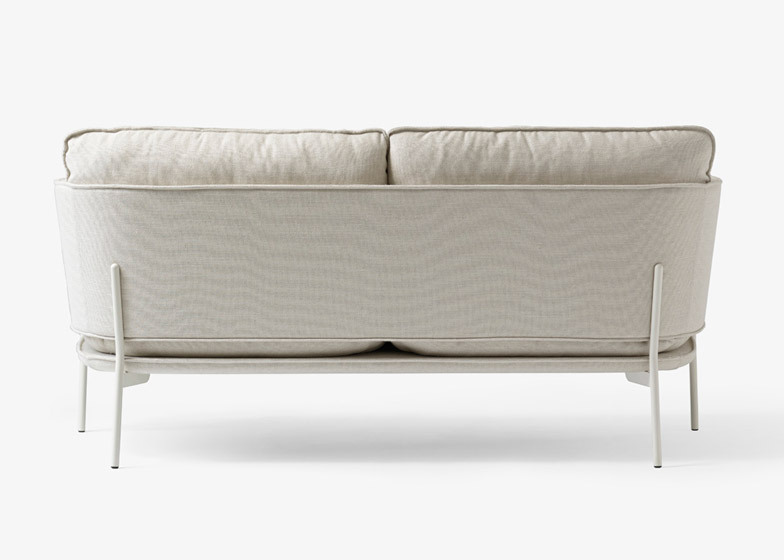 Ultimately, the highest priority has been comfort and coziness." 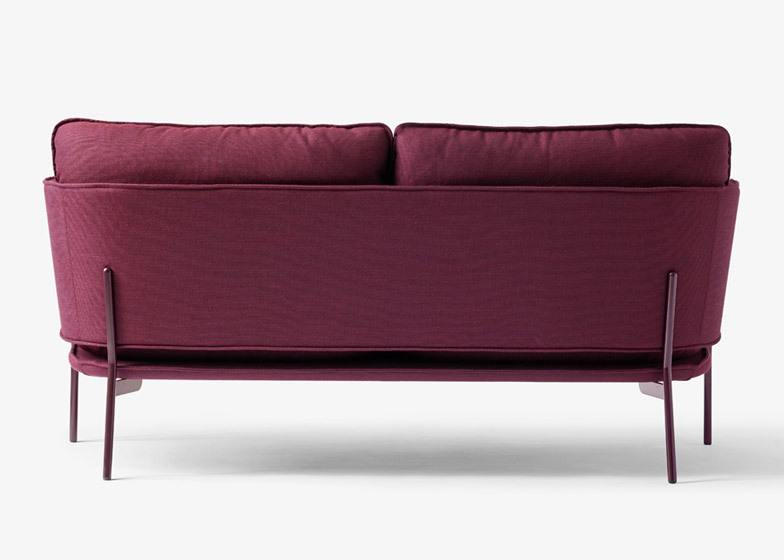 The seats are available in black-blue, volcano red, desert stone or ivory white. 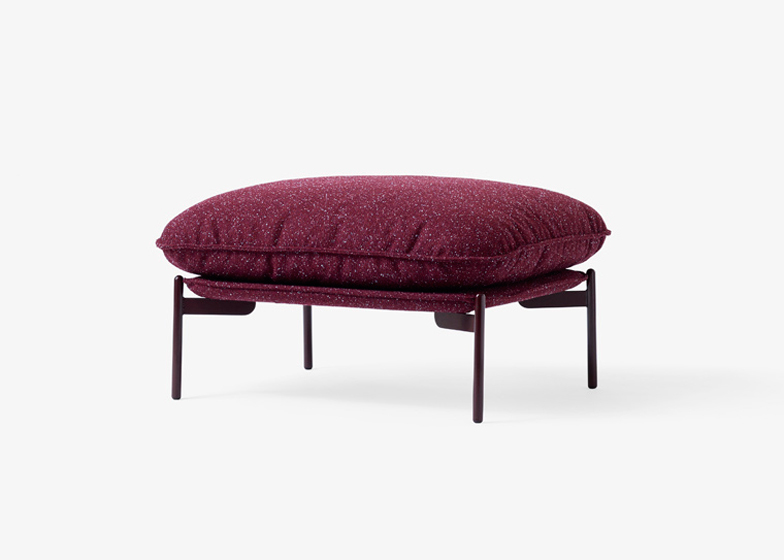 In addition, the pouf comes in three different flecked and marled fabrics that match the base colours. 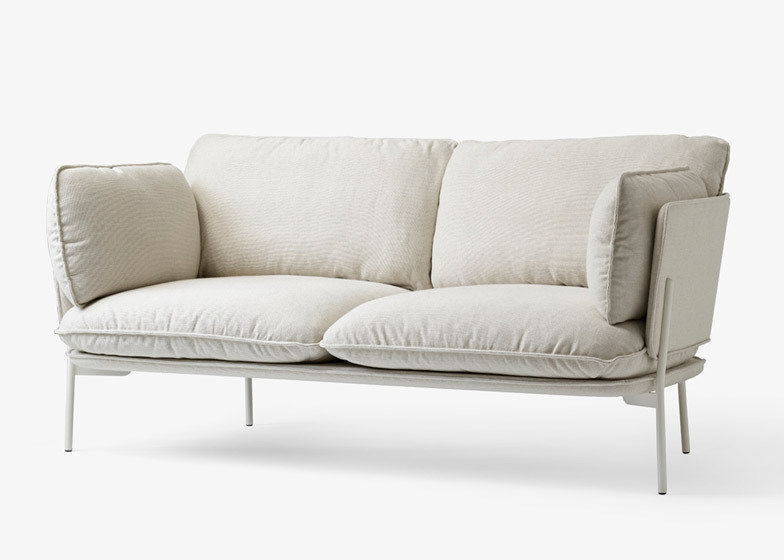 The Cloud series will be launched by &tradition at the Stockholm Furniture Fair next month, where conical lamps by Claesson Koivisto Rune and a chair for an African orphanage by Jasper Morrison are also set to debut.